Proudly made in the USA, this premium Nikita chair pad is a triumph of skilled craftsmanship—offering exceptional style, durability, comfort and easy care. Innovative chair cushion features three layers of materials: easy-clean, stain-resistant fabric on top, 2″ Delightfill® inside for cushioned comfort and support, and patented Gripper® technology on the bottom to hold it securely in place without slipping. 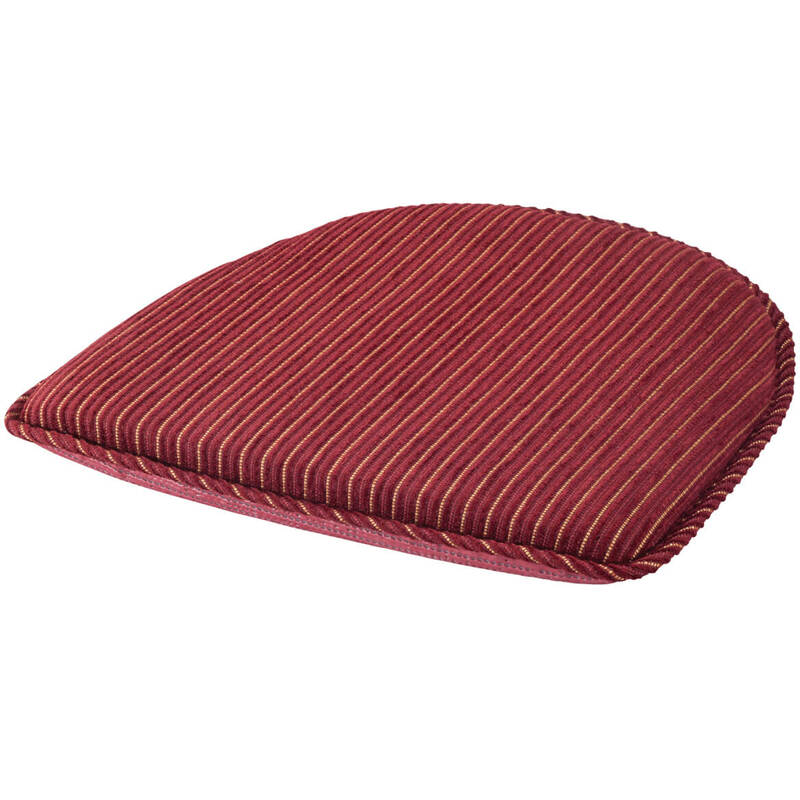 Featuring a subtle stripe and sleek, piped edges, the seat pad complements any décor in five classic colors. 59% polyester/41% polypropylene top; 100% polyester fill; 90% latex/10% polyester Gripper back. Spot clean. Seat cushion measures 16″ long x 15″ wide x 2″ high. Made in USA.